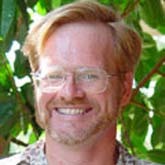 Randall Cerveny is a professor of geographical sciences at Arizona State University (ASU), where he has taught since 1986. He serves as Rapporteur on Extreme Records for the United Nations/World Meteorological Organization, and in this connection is responsible for researching and verifying global weather records. At ASU, he directs the meteorology program, and was awarded the title of President's Professor in recognition of his contributions to undergraduate education. He is contributing editor for the magazine Weatherwise, and is the author of numerous journal articles as well as two books, Freaks of the Storm, Thunder's Mouth Press, 2006, and Weather's Greatest Mysteries Solved!, Prometheus Books, 2009. Cerveny, R. S., B. M. Svoma, R. C. Balling and R. S. Vose. 2008. Gregorian calendar bias in monthly temperature databases. Geophysical Research Letters 35:L19706. DOI: 10.1029/2008GL035209. Brommer, D. M., R. S. Cerveny and R. C. Balling. 2007. Characteristics of long-duration precipitation events across the United States. Geophysical Research Letters 34. DOI: 10.1029/2007GL031808. Kuby, M., R. S. Cerveny and R. Dorn. 1997. A new approach to paleoclimatic research using linear programming. Palaeogeography, Palaeoclimatology, Palaeoecology 129: 269-290. Holle, R. L., N. J. Selover, R. Cerveny and H. M. Mogil. 2015. The weather and climate of Arizona. Weatherwise: The Magazine about Weather. (Mar-Apr):12.